Fall has kicked into overdrive and the serious movies are all heading for the theaters in time for the Oscar nominations. Most geeks already know The Hunger Games, Mockingjay Part 1 is landing in theaters on November 21st . But there’s a smaller, much more low-budget British film scheduled to open on November 28th that gets even more serious nerd cred. It’s called The Imitation Game. 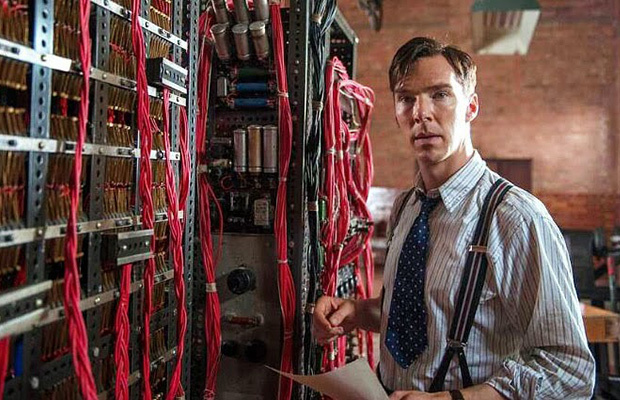 The movie tells the story of how Alan Turing — the Cambridge mathematician, creator of the Turing Test and pioneer of modern-day computing — used his genius to help crack encrypted Nazi messages with a huge team of cryptographers at Britain’s top-secret Bletchley Park code-breaking facility. US President Dwight D. Eisenhower has even estimated that the work done at Bletchley Park shortened the war by two years. Oh, and in case you haven’t heard, it stars English actor and modern Sherlock Benedict Cumberbatch as Alan Turing (above). If you’re interested Turing’s life and want to do a little background research before seeing the film, one definitive place to start is with the extensive biography, Alan Turing: The Engima, written by Andrew Hodges. The book was originally published in 1983, but has been updated a few times since then, including in 2012 for the centenary of Turing’s birth. It’s not one of those short biographies — 600 to 770 pages depending on the edition. Upon its arrival, the book was well-reviewed and Jim Holt of The New Yorker even called it “One of the finest scientific biographies ever written.” Here in the States, Alan Turing: The Enigma is currently out now from Princeton University Press, which has posted a PDF of the first chapter if you want to try before you buy; it’s also available as an ebook from the usual suspects. 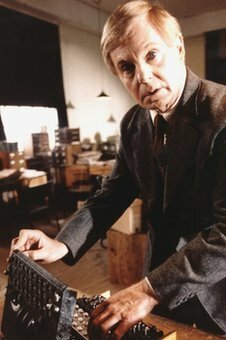 The Imitation Game film was actually based on the Hodges biography, as was an earlier adaptation from 1996 called Breaking the Code, which starred Derek Jacobi (left) as Turing. The 90-minute BBC film is available to watch for free online on YouTube. For a more academic approach, the Turing Digital Archive, hosted by King’s College at Cambridge, has about 3,000 images of letters, photos, papers and other material related to Alan Turing. Once you’ve tackled Turing, you can also find plenty of online resources on the science of cryptography, including a fact sheet on World War II cryptology from the National Museum of the United States Air Force, the Google Cultural Institute site devoted to Bletchley Park and the BBC’s guide to code-breaking. For a more modern-day look, there’s also a free online Coursera course in cryptography from Stanford University. So geeks, get ready. This could be the film for you this season — and something to tide us all over until next year’s The Avengers: Age of Ultron and of course, Star Wars VII.